For two days, we escaped the noise of home, the distractions of life, the demands of children. The two of us drove off together leaving behind the computer, the dogs, the cat, the housework, the yard work, the emails and the stress. 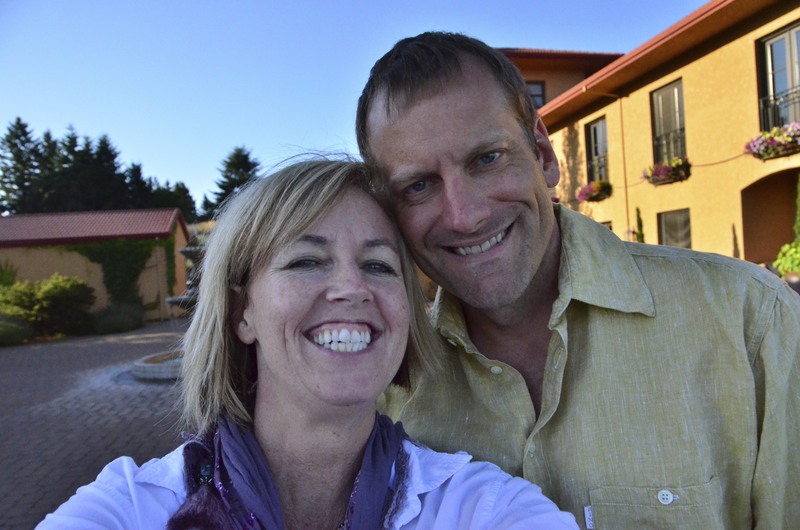 As we drove the Oregon country roads through the green hills blanketed by the vineyards, I felt incredibly happy to be alone with Stephen and to be celebrating 20 years of marriage. 20 years with my best friend. 20 years of ups and downs, the good, the bad and the ugly. 20 years of changes and babies to teens. 20 years of working it out, staying in it, fighting, laughing and loving. 20 years of trying to change him but realizing that it’s me that must change. 20 years of wrinkles and grey hair and changing bodies to accommodate the age. 20 years of laughter, tears, awkward moments and the comfort of his arms. It was so good to have time to talk, time to be, time to be in love. We walked through the vineyards. We sat in the garden and smelled the lavender in full bloom. We ate some amazingly tasty, fresh food. We talked about the future. What is next? Neither of us really knows, and neither of us really cares… because we feel content with life. Life is good. A warm summer evening invited us to sit outside until darkness fell. Then the stars brilliantly entertained our eyes. Sipping a glass of red wine, we found our happy place. Finally, in a quiet moment, I began to sing one of my favorite songs, and then he joined me. Yes, my friends, I am a sap. I am romantic at heart. I love that he is too. I loved our great escape. Time to be in love. Taking time together, to get a way, has been so important for our marriage. I highly recommend it! Go escape! 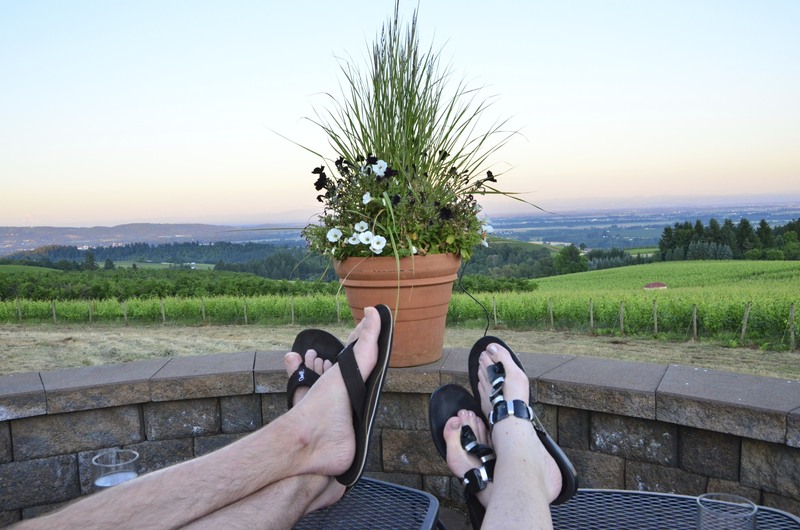 Wow, another blogger from Oregon I am over in Yamhill county and yes the vineyards are awesome. So glad you had the time and the desire to get away and spend time together, That is what it is all about. Happy 20th. We are heading into our 38th year. God Bless you. Thank you for sharing……..despite the collapse of my horrible marriage; I am so happy to see a marriage be a good thing. However, I do remind myself that marriage is difficult and maybe that’s my way of dealing with no specail someone in my life. But of course there are special people. Happy Anniversary! We celebrated 15 years on the 20th. I’m in Illinois right now, but when I return to Oregon on Friday,I’m bringing my mom back with me so Kevin and I can get away for a night or two.